In the just concluded week, OTC bond prices climbed amid boost in liquidity. Specifically, the 20-year, 10 percent FGN JUL 2030 paper, the 10-year, 16.39 percent FGN JAN 2022 debt, the 7-year, 16.00 percent FGN JUN 2019 and the 5-year, 14.50 percent FGN JUL 2021 debt appreciated by N0.66, N0.63, N0.70 and N0.67 respectively; corresponding yields fell to 16.35 percent (from 16.52 percent), 16.26 (from 16.47 percent), 16.21 (from 16.67 percent) and 16.35 percent (from 16.60 percent). 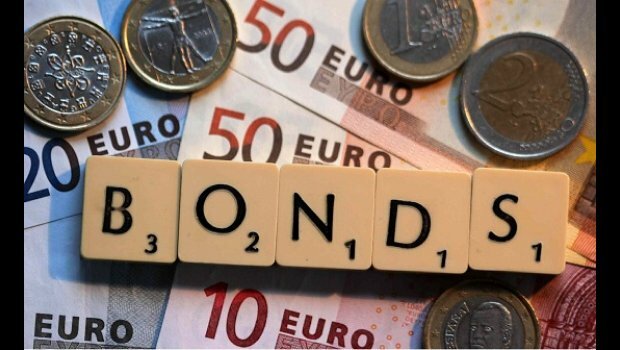 Elsewhere, FGN Eurobonds traded on the London Stock Exchange (LSE) depreciated in value for most of the maturities amid renewed profit taking. Prices of the 10-year, 6.75 percent JAN 28, 2021, the 10-year, 6.38 percent JUL 12, 2023 fell by $0.16 (yield rose to 4.43 percent from 4.39 percent), $0.21 (yield rose to 5.12 percent from 5.08 percent). However, prices of the 5-year, 5.13 percent JUL 12, 2018 bonds appreciated by $0.08 (yield fell to 3.22 percent from 3.29 percent) respectively. This week, we expect bond prices to moderate at the OTC market on the back of expected tightening in the financial system.